Have You Pictured the Lifestyle You Want in Retirement? You can reach your retirement goals if you take the correct steps to build savings, we can help. Our self-directed IRAs put you in control of your investments— an opportunity for you to take advantage of your expertise in real estate to boost your savings. Get Started Today. DOWNLOAD the SDIRA Savings Kit! "As a REALTOR® and a real estate investor, I wanted to find a way to utilize my 401k while continually contributing and building my investment portfolio. This lead to me to open a self-directed IRA with IRAR Trust. I was able to rollover my 401k and invest it in a field I specialize in… Real Estate. Since opening my account, I’ve leveraged my resources to flip a number of properties while also acquiring rental properties. I’ve also suggested clients look into the many benefits of self-directed IRAs, which has lead to several closings and has increased my clients’ buying power. Working with IRAR has been an enjoyable and informative process." "Who needs the stock market? Financial consultants say that you should invest in what you know. 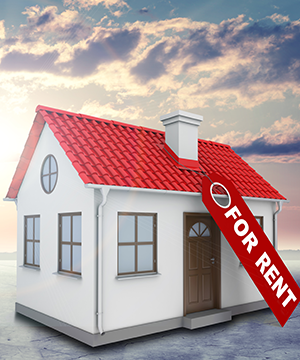 I have been working with IRAR Trust for over five years managing a self-directed IRA, which includes four rental properties. What better vehicle for a retirement account than to invest in real estate? As a REALTOR®, it would serve you well to introduce your clients to the concept of a self-directed IRA, and direct them to IRAR Trust. The staff is responsive, knowledgeable and qualified to help you self-direct your portfolio." "I met the IRAR Trust team at National Association of REALTORS® Convention in Boston. I was intrigued about the possibility of buying real estate for my clients in their retirement accounts. IRAR was very helpful in answering all my questions over the 3 day convention. I have used IRAR to help my clients invest in real estate with their self-directed IRA. Working with IRAR has been a pleasure. As a REALTOR® I believe you are doing your clients (buyers and sellers) a great service by learning how to buy/sell real estate in retirement accounts and by using IRAR to facilitate this. Bringing in IRAR gave me great credibility with my clients and made them feel at ease with the process. It's been a great success."